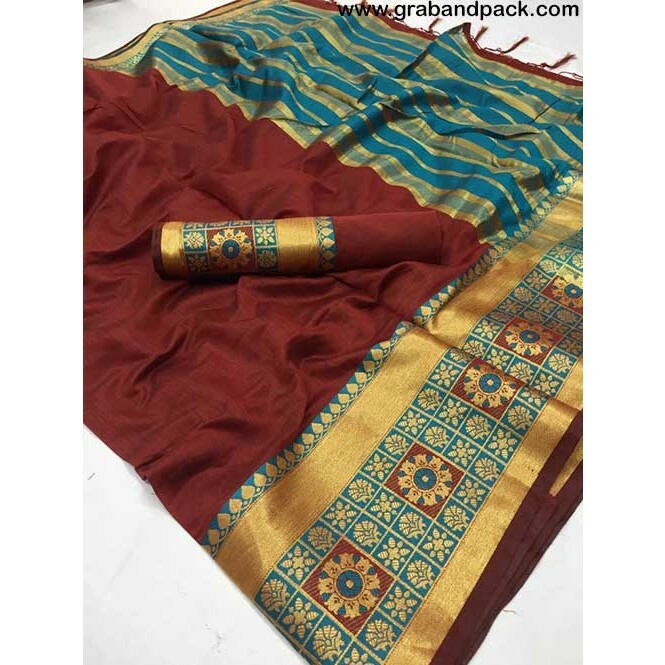 Enjoy Style with The New Maroon Colored Beautiful Pure Soft Cotton Saree With Exclusive Latkan and Blouse. 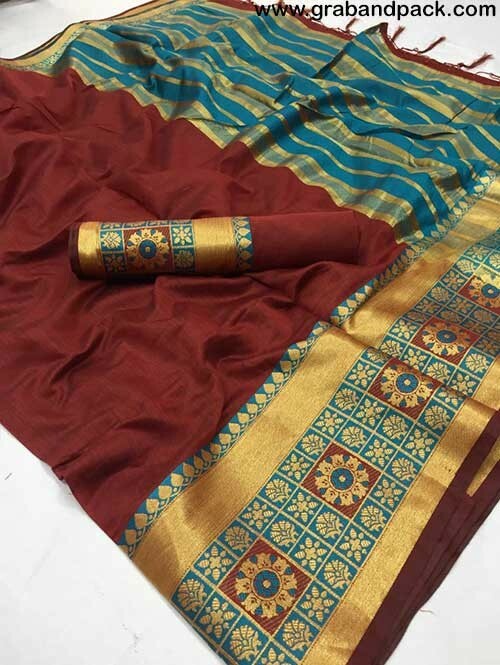 Wear with Matching Blouse and Steal the Show, woven in a mix of poly silk threads and cotton threads, sari is an outcome of a blissful marriage of the glory and repose. The Saree Length 6.30 Mtr Including 0.8 Mtr Blouse.